The Namibia Tourism Board continues exploring avenues of marketing Namibia and creating platform for the tourism trade to network and exchange business with other international tourism trade organisations from around the globe. NTB exhibited at the just ended Annual Tourism Indaba that took place in Durban, South Africa from the 11 – 16 May 2013. Namibia exhibited in the ever-growing SADC Hall along side other Southern African Countries like, Angola, Botswana, Zambia, Zimbabwe and Swaziland and many others. As usual, the SADC Hall proved to be the busiest hall this year, bustling with all international visitors flocking to network and putting up packages together to make their way to Southern Africa. 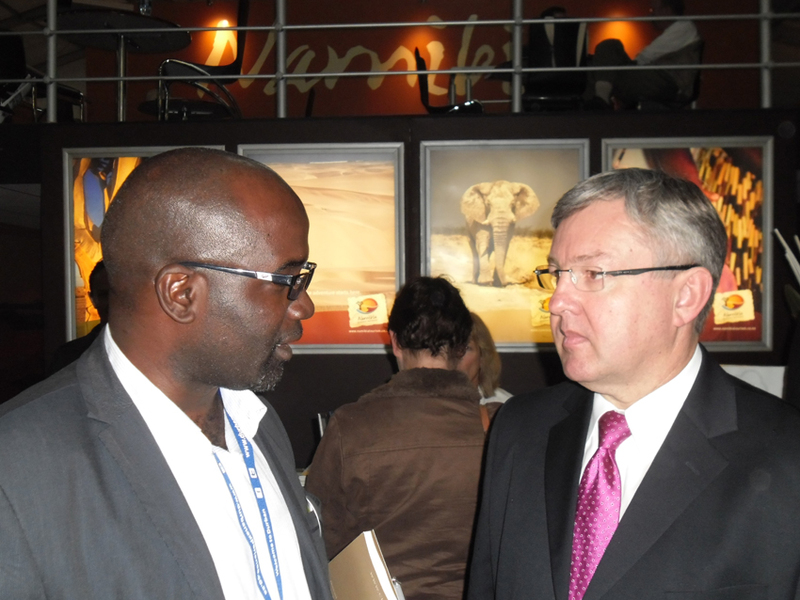 Namibia’s call for joint marketing and strengthening continental relationships with other members was echoed by the South African Tourism Minister Marthinus Van Schalkwyk who visited the Namibian stand and said: “As part of the growth and expansion plans, South Africa will be gradually increasing African participation at the Indaba in 2014″. Key activities at the Namibian stand was to maximize awareness on the hosting of the Adventure World Travel Summit (ATWS) from 26th – 31st October 2013. 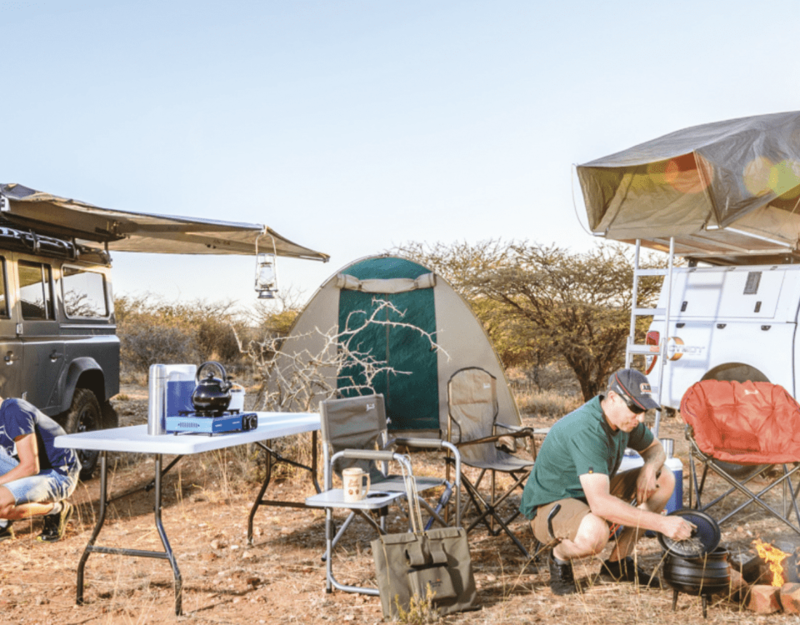 With its excellent infrastructure, efficient telecommunications, rich cultural heritage and an award-winning community-based natural resource management programme that combines the areas of tourism, conservation and community development, Namibia proved to be the destination of choice. Held on an annual basis, the ATWS brings together decision makers of the global tourism industry, as well as travel enthusiasts keeping abreast of current tourism trends. Organisers of the summit, the Adventure Travel Trade Association (ATTA) is a global membership organisation consisting of 700 people representing tour operators, destination marketing organisations, tourism boards, speciality travel agents, guides, accommodations, members of the media as well as service providers. For the first time ever, the ATWS will be hosted in Africa which will result in not only creating awareness of this diverse travel destination, but will also yield positive returns to the Namibian economy in terms of increased tourism bookings and future arrivals, with direct economic impacts for Namibia as host of this international event. This event can also further improve the diplomatic positioning of brand Namibia as a stable, forward-looking, progressive country open for visitors and investment alike, by showcasing its unique tourism offering coupled with a steady and established business sector. 30 Namibian Tourism Operators exhibited under the umbrella of Namibia Tourism Board. A total of 26 000 square meters of carpets were laid for the 1 386 exhibitors at the show this year, as Indaba again proved to be the biggest and most relevant tourism trade show on the African continent. Of the 14 970 square meters of sellable space available throughout the venue, a total of 14 712 square meters (98%) was sold and occupied at Indaba 2013.